The Democratic Town Committee retained its leadership and welcomed 14 new members at a March 12th organizational meeting held at New Britain City Hall. John McNamara was re-elected Chair and Robert Sanchez, the 25th District State Representative, was re-elected Vice Chair for the 2012-2014 term. John Valengavich of Voting District 5 returns as the party treasurer and District 1’s Peter Spano retains the Corresponding Secretary post. Kim Bazer Dorfman, a member from District 13, was elected Recording Secretary replacing Rosemary Klotz who stepped down from the committee this term. Todd Szabo, the Common Council Clerk of Committees and a District 13 member, was elected Deputy Treasurer. The elected officers were unopposed. The 51-member committee, representing the city’s 15 voting districts, includes 14 new members — Gregory Gerratana, Tonilynn Collins, Katie Breslin, Isabelita Cancel, Alma Brown, Monica Hermanowski-DeFronzo, Ann Speyer, Duane Hinkson, Bryan Sabin, Aram Ayalon, Robert Pleines, Ronald Davis, Gil Martinez and Donna Crockett. The Town Committee will meet in late March to select slates of delegates to May conventions where candidates for Congress, U.S. Senate, state House and Senate will be nominated. For more information interested Democrats may contact the committee at newbritaindemocrat@gmail.com or call the Town Chair at 860-827-9469. The Town Committee heard from Marjorie Hackett-Wallace, Mark Fortin and Brian Riley, the members of Mayor Tim O’Brien’s financial review task force at its Monday meeting. The task force, meeting at least twice a week at City Hall, is seeking more ideas from the public on the ways the city can reduce costs and increase efficiencies in the $220 million municipal budget. The three-member task force was appointed in December to help the administration deal with a budget deficit in the current fiscal year and prepare a new budget for the fiscal year that begins July 1. The panel, in conjunction with the Board of Finance, continues to analyze fiscal policies and procedures to identify savings. Some of the key areas for improvement already identified include the need to bring some city offices up to speed on information technology and data management. Weekend Festivities: Bring your appetite……. The Spottswood A.M.E. Zion Church’s Men’s Ministry will hold a breakfast on Saturday, March 17th from from 8 am to 11:30 am at the 25 Crestwood Lane Church. The cost is $10 and includes a home-style breakfast. On Saint Patrick’s Day, the New Britain Irish Social Club (AOH) will hold its annual Corned Beef & Cabbage Dinner in the upstairs hall from 4 pm to 8 pm at its 40 south Street location. The cost of the dinner is $12.00. Stryder, formerly of Seabreeze, will be the musical guests at the club from 7 pm to 10 pm. 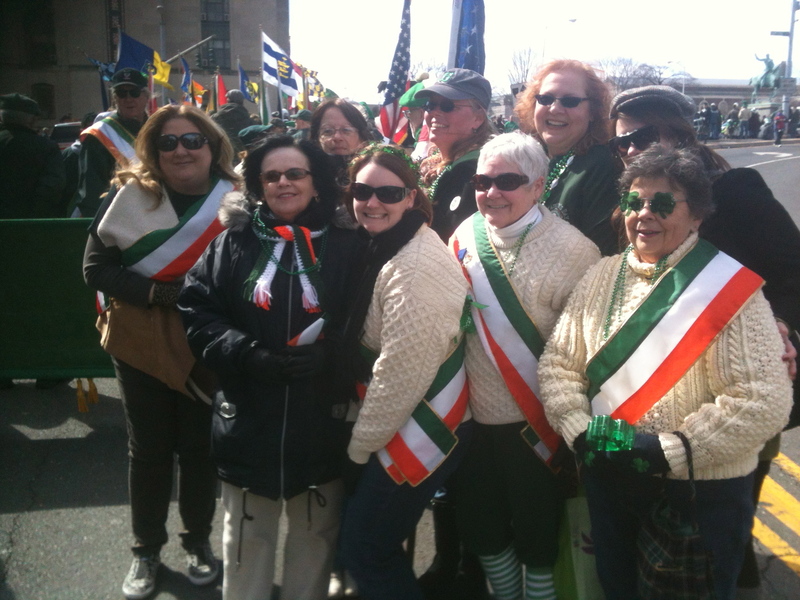 New Britain was well represented at last Saturday's Hartford Saint Patrick's Day Parade by members of the Irish Social Club who were joined by Mayor Tom O'Brien for the march. The Golden Hurricanes Marching Band of NBHS were one of the highlights of the 41st annual parade. May those who love us, love us; and those who don’t love us, may God turn their hearts; and if He doesn’t turn their hearts, may he turn their ankles so we’ll know them by their limping. This entry was posted in Endorsements, Meeting/Event, Municipal Budget. Bookmark the permalink.